Now this something we considered thinking out-of-the-box. 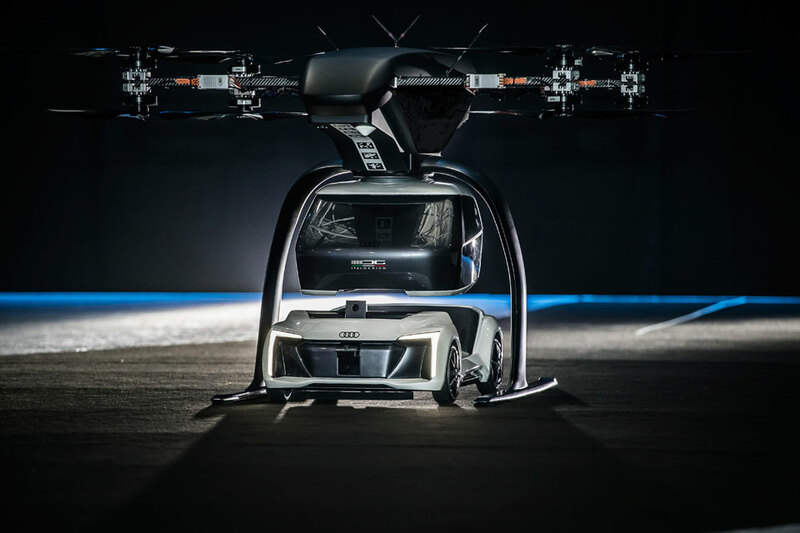 When we think autonomous public transport, we often think self-driving car, self-driving bus, and autonomous drone. 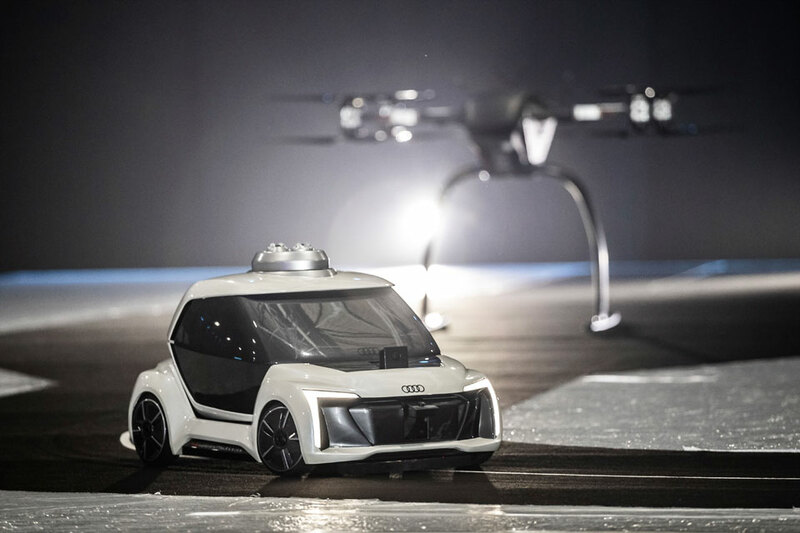 But Airbus, together with design studio Italdesign and Audi have come together to dream up a concept that is definitely not inside the box. 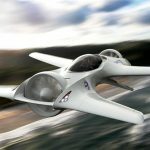 The concept, called Pop.Up Next, can travel on regular roads and also take to the skies, but no, it is not quite a flying car. 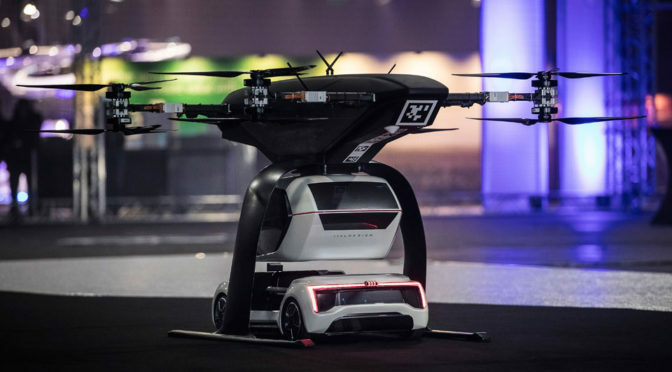 This interesting concept is actually made up of three modules: a chassis with wheels, a capsule that accommodates two person, and a four-rotor drone. 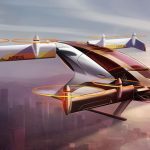 Airbus announced this concept in 2017, but it is only until recently, a 1/4 scale demonstrator made its first public flight at the Amsterdam Drone Week convention, held between November 27 and 29, 2018. 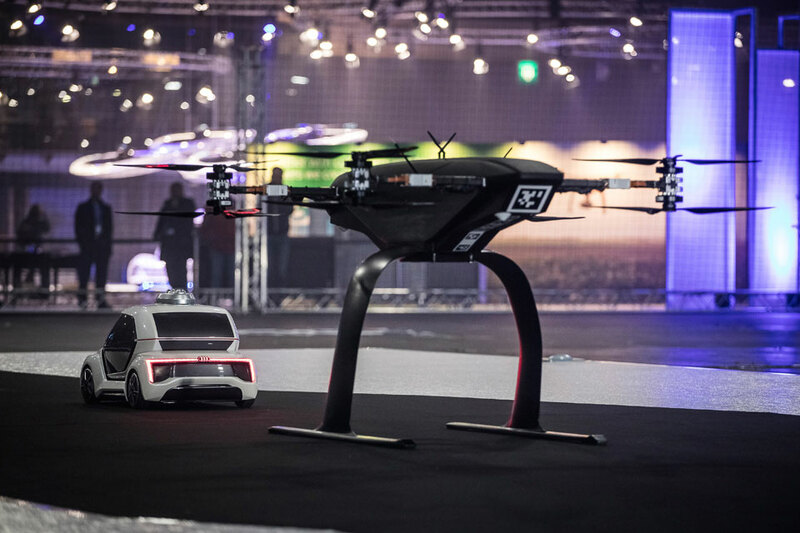 The demonstration began with a drone landing on the test ground. A passenger capsule can be seen approaching the drone shortly and positioned itself beneath the drone. 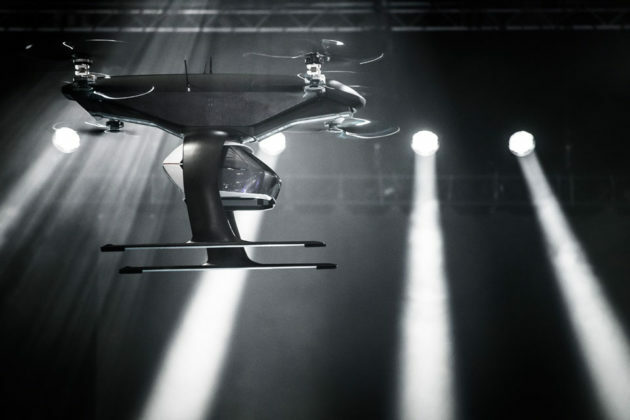 The chassis lifts the capsule which then docks to the belly of the drone. 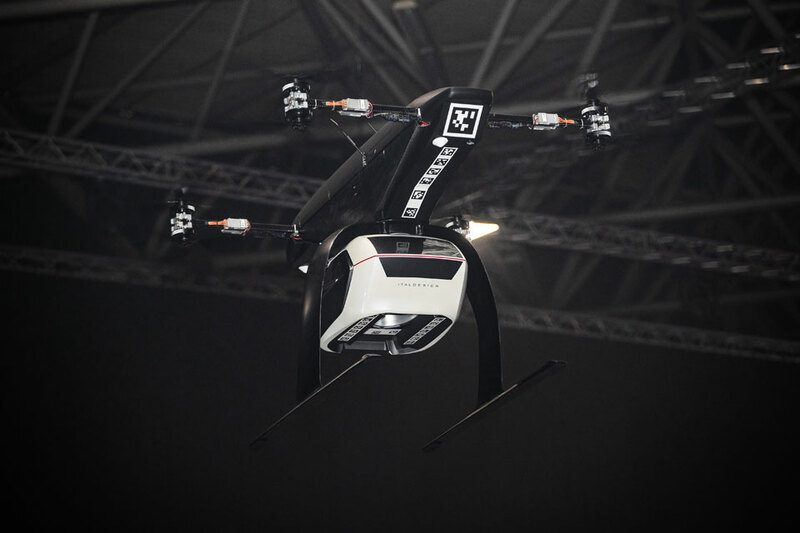 Once secured, the drone took off. It flew for a bit before returning to land. 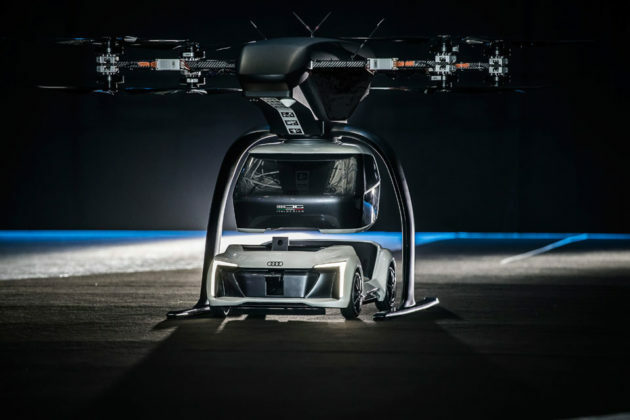 Upon landing, the chassis with wheel returns and positioned itself under the drone. The chassis to lowers down the passenger module, turning it back into a car and thereby completing the processing of land-air-land transition. From what we can see, the flight wasn’t as smooth. It flew rather erratically and the landing of the drone was pretty rough. The landing looks totally like me flying any drone, i.e. always never failed to do hard landing. But it is worthy to note that this is only a prototype. 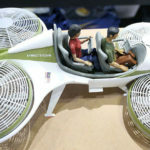 Unfortunately, flying cars such as those we saw in movies like Back to the Future II are not going to happen. 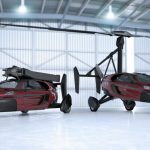 Today’s so-called flying cars has to deal with the challenge of stowing the wings or rotors in order to fit on regular roads. So it seems like Pop.Up Next might be the in between solution of not having a flying car and yet, enable commuters to skip the crazy jams happening on the highways and city streets. Now that, my friends, is thinking out-of-the-box!